More thrash the hard and old-skool way – all the way from <?xml:namespace prefix = st1 ns = "urn:schemas-microsoft-com:office:smarttags" />Italy. Urto start out with a clear reference to ‘Master of Puppets’ and continue along the Metallica lines – combined with something that I stylistically would say lands very near Dark Angel. The first couple of songs, The Dilemma Remains and Remote Control Seizure, are really great thrash songs. Free Will State of Health is decent thrash too, but from there on, the quality of the song material dwindles, or rather; comes in waves. The want for long songs should have been controlled and distilled into shorter tunes of better quality. 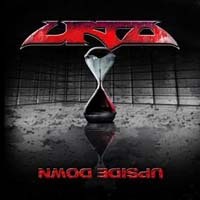 ‘Upside Down’ is not bad as such, but Urto has a long way to go to create the milestones their inspirational sources forged.